Tired of the inefficiency of traditional meetings? Frustrated by having to sit and listen when you could be actively facing challenges and finding out-of-the-box solutions? MODA offers Design Thinking workshops and private classes to give businesses and teams an opportunity to learn an innovative and effective way of tackling problems, big and small through collaboration! For more information about scheduling a private Design Thinking Workshop with your organization, click here. 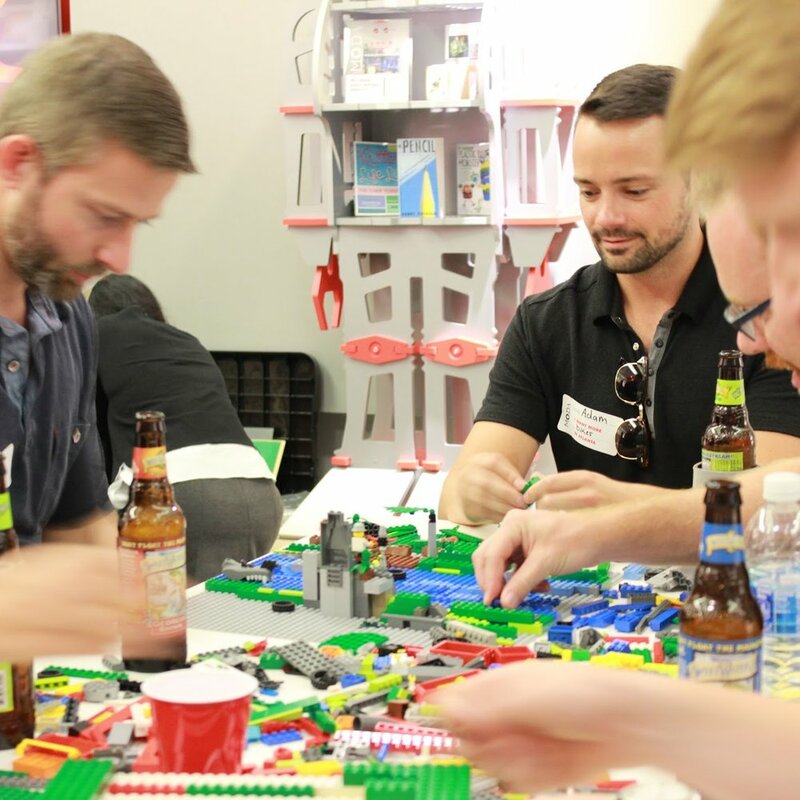 Take on MODA's LEGO Design Challenge while sipping local Atlanta brew. Learn about 3D modeling in TinkerCAD and try your hand at designing a custom object with MODA's MakerBots. Work in teams to bring your very own functional robot to life.